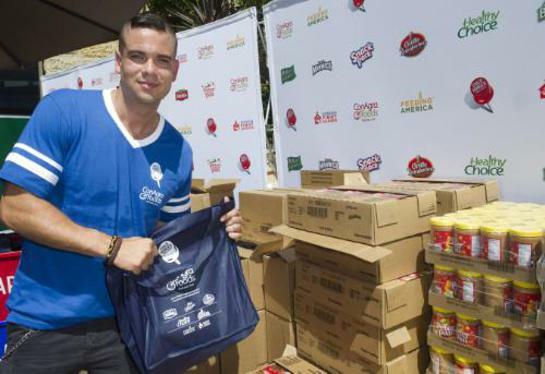 As students across the country head back to school, one of America’s best known “students,” actor Mark Salling is partnering with ConAgra Foods to raise awareness about a serious issue facing more than 17 million children nationwide: child hunger. Mark Salling helps pack bags in Hollywood as part of the launch of ConAgra Foods' Child Hunger Ends Here fall campaign. According to the U.S. Department of Agriculture, more than 17 million children are at risk of hunger. That’s nearly one in four kids who are struggling with hunger – in every state, every county and every school in America. Hunger is a serious issue for kids during the school year because research has shown that even mild under-nutrition experienced by young children during critical periods of growth impacts their school performance, behavior and cognitive development. The reality is that students who are hungry may not perform well academically. This fall, ConAgra Foods is continuing its Child Hunger Ends Here campaign by partnering with Feeding America, Schools Fight Hunger and thousands of schools across the country. The program will rally schools to participate in nationwide food and UPC label drives this fall, working towards ConAgra Foods’ goal of five million meals donated to children and families facing hunger in America during the 2011-12 school year. Parents and teachers can visit ChildHungerEndsHere.com to register their school for the program. Each school that participates will be entered for a chance to win one of several prizes, including the grand prize – $10,000 to fund school field trips of their choosing. Food Drives – Participate in or host school-sponsored food drives to collect food for local food banks. UPCs – Parents can help students collect UPC codes from any ConAgra Foods brands, including Banquet, Chef Boyardee, Healthy Choice, Hunt’s, Marie Callender’s, Manwich, Orville Redenbacher’s, Peter Pan and Snack Pack. For each UPC collected, ConAgra Foods will donate one meal* to Feeding America – the nation’s largest domestic hunger-relief organization. The Child Hunger Ends Here campaign builds on a commitment by ConAgra Foods and the ConAgra Foods Foundation to end child hunger. Since 1993, ConAgra Foods has donated more than $35 million and 260 million pounds of food to Feeding America. The five-year, $10 million pledge from the ConAgra Foods Foundation is the largest donation ever made to Feeding America specifically to fight child hunger. For more information, visit www.ChildHungerEndsHere.com/schools. 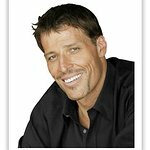 You can also follow the discussion at www.facebook.com/ConAgraFoods and www.twitter.com/ConAgraFoods.